Public hearings were held around the country to give people the opportunity to make their voices heard. Here is a video guide for kids & others explaining how to testify against de-listing wolves. Thanks to KidsAgainstDelisting! Instructional Mask-making Video: What to Wear to a Wolf Rally, courtesy of the Center for Biological Diversity. Kids all across the country are worried about wolves and taking action. See the links below for ways that you can get involved also! Six-year-old Lucy from Maine put Interior Secretary Sally Jewell on the record yesterday about a recent Fish and Wildlife Service proposal to remove Endangered Species Act protections for wolves in most of the lower 48 states. “I like wolves, too,” Jewell declared, before referring to the proposal to remove them from the endangered species list. The proposal, which is now open to public comment, is set to end nearly two decades of federal wolf recovery efforts, except for a small wolf recovery program in New Mexico and Arizona. The plan, which Fish and Wildlife has said it hopes to finalize within the year, would turn wolf management over to the states (Greenwire, June 7). While the plan has been welcomed by agricultural and hunting groups, it has been blasted by environmental organizations that believe U.S. wolf populations are still fragile. Jewell noted yesterday that Lucy isn’t the first young wolf supporter she has come across in her brief time as head of the Interior Department. Last month, on a visit to Rhode Island, a 12-year-old girl gave Jewell a handwritten letter on wolf stationery, the secretary recalled. “She was a wolf advocate, and she actually asked me not to take them off the endangered species list,” Jewell said, “which is not something I actually have a choice. It’s about science, and you do what the science says; otherwise, you get sued. I’m learning that. But environmental groups couldn’t disagree more. Sylvia Fallon, the director of the wildlife conservation project for the Natural Resources Defense Council, said FWS created its own science that allowed the federal government to wash its hands of the politically tricky issue of wolf protections in most of the country. While protection efforts have allowed wolves to exceeded recovery plans where they exist, Fallon said studies show that wolf populations have recovered in less than 10 percent of their historic range — which includes Maine and New Hampshire, Colorado’s Rocky Mountains, and the Pacific Northwest’s Coast and Cascade ranges. “No one expects wolves can be recovered in 100 percent of its historic range, but a significant amount of suitable habitat has been identified by scientists that would support wolf populations, and until those areas are occupied by wolves again, recovery has not been achieved,” she said. 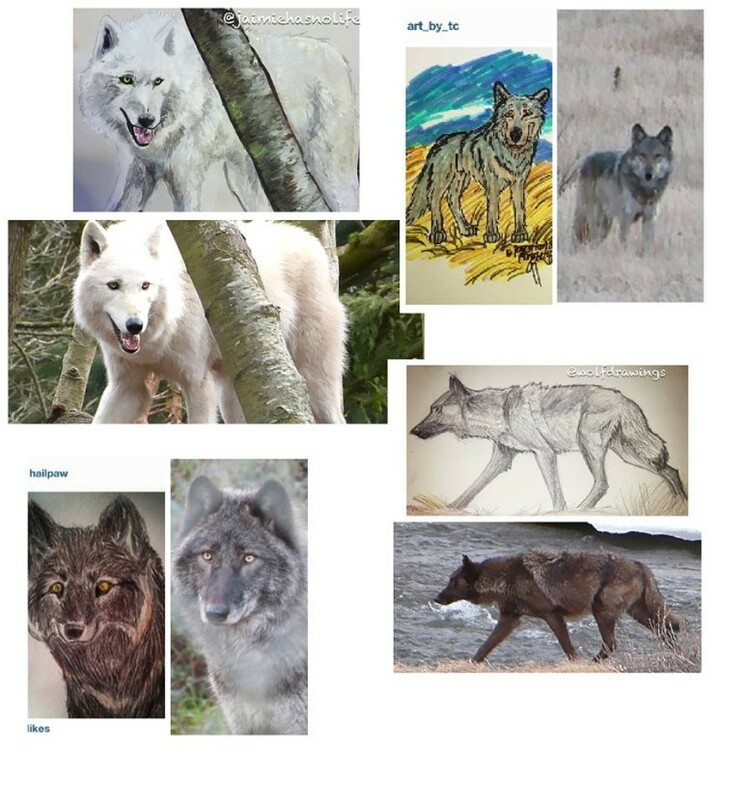 Jewell said yesterday that wolf populations in her home state of Washington have come back, as they have in other parts of the Pacific Northwest and the Rocky Mountains. Jewell admitted that she’s not as familiar with population numbers in Lucy’s home of Maine. But “Maine has probably got a pretty good shot at it because it’s close to Canada, and Canada has a healthier wolf population than the United States does,” she said. Jamie Rappaport Clark, president of Defenders of Wildlife, said today that she hopes Jewell will take the time to learn more about the state of U.S. wolf populations before signing off on the FWS proposal. “I hope she does listen to the scientists and that she gets personally involved in what happens during the public comment period and that science does indeed inform the decision she needs to make a year from now,” said Rappaport Clark, whose group, like the NRDC, is encouraging the public to get involved in the public comment period.